Adorn your walls with both function and beauty when you use our wall hooks and shelves. Nothing transforms a space quite like decorating the walls, and be sure your wall decor is useful as well as eye-catching with medieval, Renaissance, and fantasy wall hooks and shelves. We offer gorgeous fleur-de-lis wall hook racks and individual wall hooks, steampunk octopus key hooks, and fantasy shelves that will do the trick. Hang coats, hats, keys, or bags on our themed wall hooks, and add extra display or storage space to any room with Celtic, dragon, and gothic wall shelves. Many of these functional wall accents have been detailed or painted by hand for a stunning, antiqued look. When it comes to adding utility and interest to your wall space, you will find the most useful and fascinating pieces of medieval and fantasy decor in this category. Putting your tomes and potion bottles on a bookshelf? What are you, a savage? Such things require a special place in your chamber, apart from the mundane. 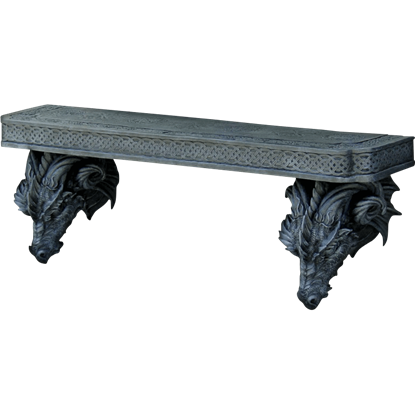 The Dragon Wall Shelf offers the medieval magic your spell books deserve. 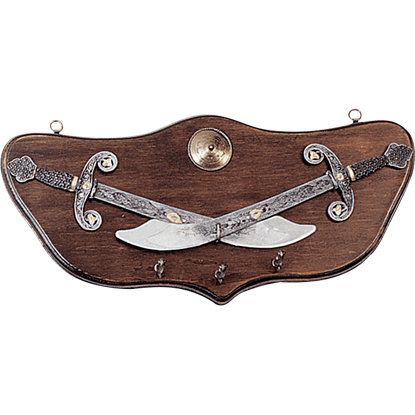 Embrace your fascination of the Middle Ages by decorating your home with the striking medieval appeal of the Dual Scimitar Display Plaque with Pegs. Enhancing its ornamental design, it is fitted to hang keys or other light items. 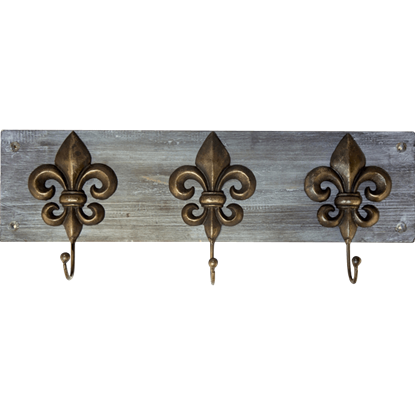 Finding the perfect blend of vintage and modern styles, the Fleur de Lis on Wood Wall Hook Rack embraces luxury design with its distinctive look. The wooden backboard beautifully contrasts the trio of cast iron wall hooks. Never lose track of your keys when you use this ornate key hook! 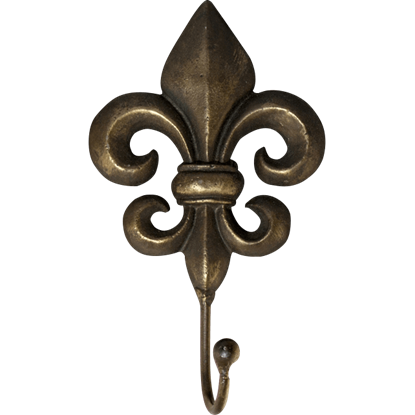 The Fleur de Lis Single Hook can be attached to a wall near your entranceway for easy access when you are entering or leaving your home. A symbol of nobility and class since medieval times, the fleur de lis remains one of the most distinctive decorative emblems. 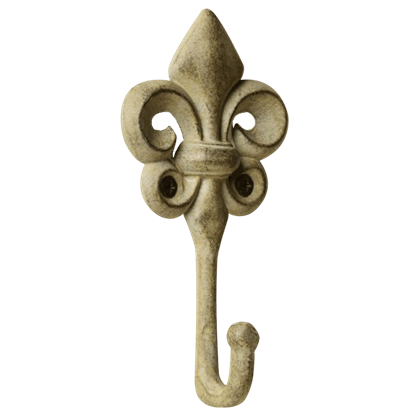 The Fleur de Lis Wall Hook shows off the curling petals of the stylized lily with a stunning metal finish. An unholy mashup of machine and cephalopod created this steampunk octopus. The bulbous head is formed with metal plates and riveted bands encircle each of the arms. 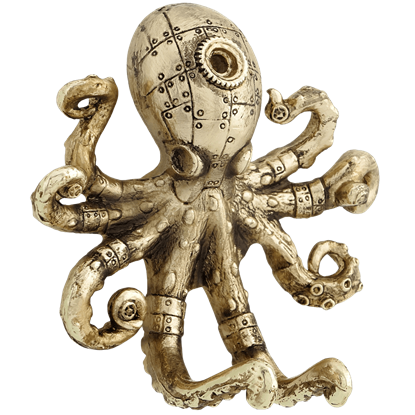 Dress up your home with this Gold Steampunk Octopus Wall Hook. It is the little touches that really make a medieval decor stand out. 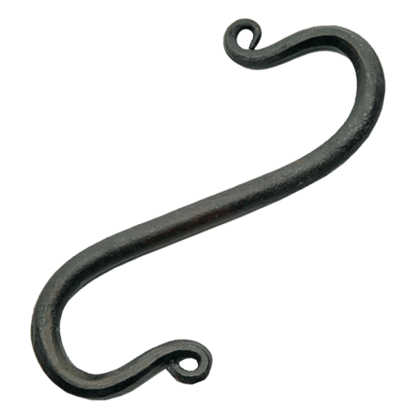 For those who want to go all the way with their castle, a few of these Large Medieval S Hooks will go a long way in allowing you to hang things in medieval fashion. 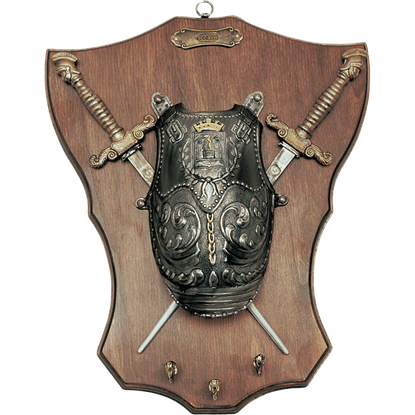 Exquisitely blending Germanic and Italian styles from the Renaissance era, the Mini Armour and Swords Display Plaque with Pegs is a spectacular decoration that is well suited for bringing an enlightened touch to your home. 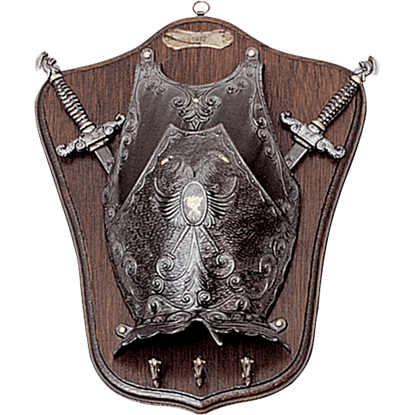 Luxuriously designed to display a look of medieval elegance, the Mini Armour and Weapons Plaque with Pegs features a pair of replica Spanish swords, an intricately detailed Germanic breastplate, and metal pegs on which to hang keys. 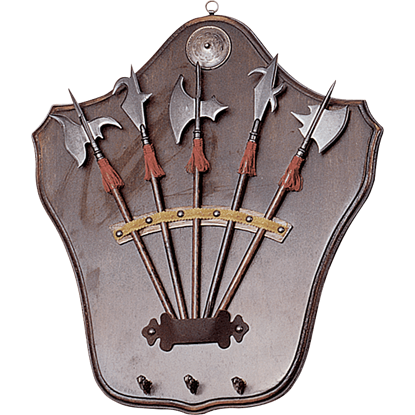 Delightfully displaying designs of medieval era weaponry, the Mini Halberd Display Plaque with Pegs is a wonderful accent for the home or office. This plaque is perfect for hanging keys and expressing your love of history. 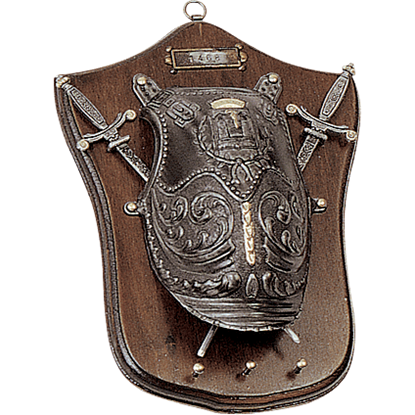 Extraordinarily designed in the styling of the Italian Renaissance, the Mini Medieval Armoury Key Hanger is an exquisite decoration for the home or office, perfect for expressing your interest in this historical period. 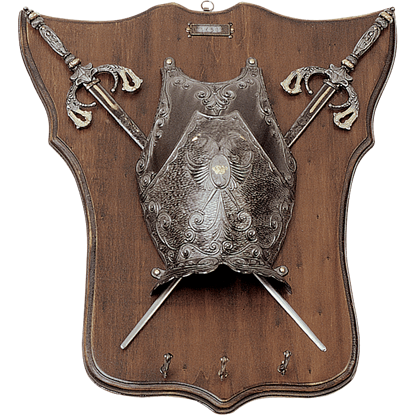 An exquisite representation of medieval styling, the Miniature Swords and Armour Plaque with Pegs is a magnificent decoration. Enhancing the design, it features protruding pegs from which you can hang keys or other light items.